Oakland and the surrounding East Bay Area is a welcoming, casual town. The standard uniform of jeans and a hoodie is a ticket to pretty much anywhere: a Warriors game, a UC Berkeley lecture hall (as a student or even as the professor), a Michelin-star restaurant, R&B paint night at the Complex. The few exceptions are three-fold: the Piedmont School District, an available slice of sweet potato pie at Lois the Pie Queen after 10:00 AM, and Pixar Animation Studios. I have lived in the East Bay for more than twelve years, and I have never gotten closer than peering through the iron gates while driving past to get my son to badminton practice. Until now. To celebrate the upcoming in-home release of Bao and Incredibles 2, Pixar opened their gates to The Nerds of Color as well as other media outlets for dinner and interview opportunities with their creators. 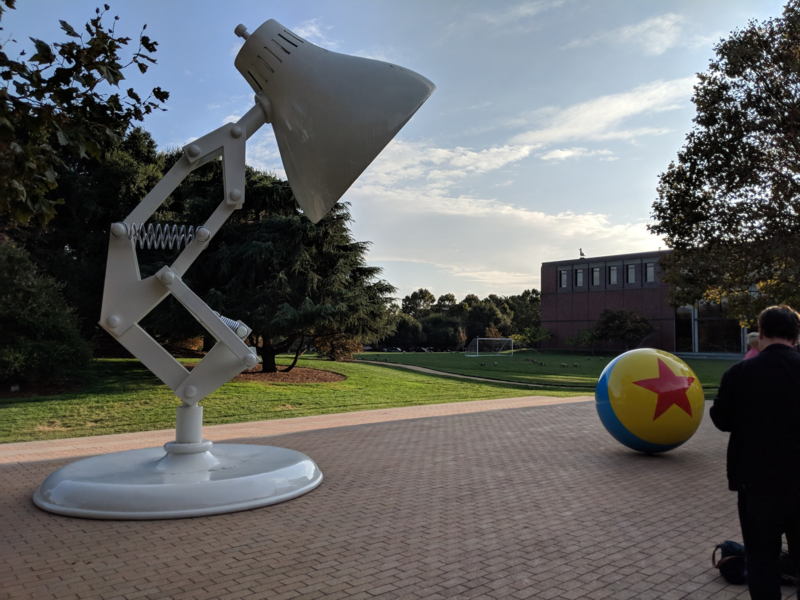 The evening began with a short tour of the front part of the campus, where I saw a larger-than-life-size statue of Luxo, Jr. and their rubber ball. Inside the building, art of all kinds, from fun little sketches to billboard-sized murals, adorned every wall. There were statues of Bing Bong (sob), Nemo and his shark friend Bruce, and a gorgeous calavera painted with Dia de los Muertos imagery from Coco. That Pixar-calibre level of whimsy, their flair for detail, their ability to project settings and moods that are instantaneously evocative, and their respect for the creative process was everywhere: from the multi-textured architecture (wood, brick, iron, and concrete elements come together seamlessly and professionally, yet somehow still emanate coziness) to the dumpling-themed buffet that awaited us. They even held a bao-making workshop, which was fun and incredibly thoughtful. The group was led into a screening room, where we watched Bao and Making Bao, the corresponding documentary where director Domee Shi shared how her Chinese Canadian childhood and her own mom informed the storyline and art style of Bao. Bao is a fairy tale about a dumpling who comes to life and is adopted by an empty-nester mom, but like all Pixar creations, it adds several layers of universality to the story: the emotional roller coaster that is parenting, the anxieties specific to being a first-generation parent to a second-generation child, Asian food and the emotion and ritual behind the cooking and consuming of it, the loneliness and culture gaps inherent in diasporic life… and even the foibles of interracial dating. It raises such an important question: as an immigrant, what parts of your mother culture do you hold on to, and how firmly? Yes, all of that nuance, beautifully and accurately portrayed, in eight minutes. As a first-generation Korean American mom myself, who grew up in the suburbs of Los Angeles county, Bao was the singularly most relatable piece of media I had ever experienced. 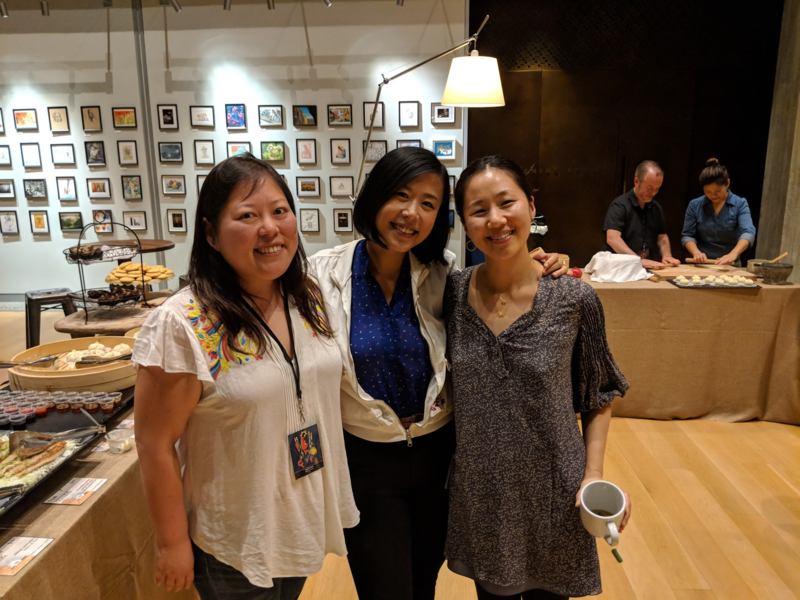 After the screening, I was able to talk to director Domee Shi about Chinese dumpling shapes versus Korean ones, and we riffed about how cool it would be to have an all-inclusive dumpling family tree, from pierogis to empanadas to mandu. We also talked about what a great time it is for the Asian diaspora in media today. It really seems like people are grokking how to discern the the differences as well as the similarities between the Chinese Canadian family in Bao, the Chinese American family in Fresh Off The Boat, the Singaporean family in Crazy Rich Asians, etc., and there seems to be an appetite for more stories from all the different voices of the diaspora. 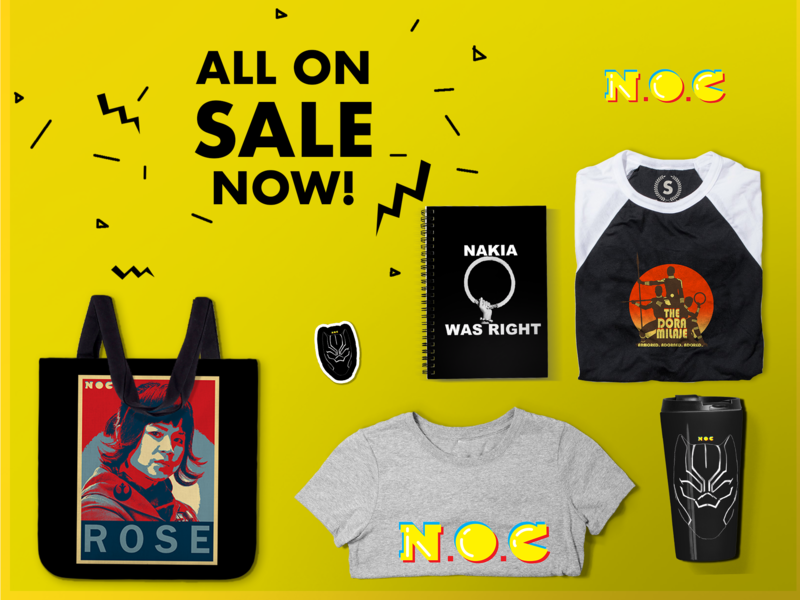 And perhaps several of them will be from Domee herself: she has been tapped to pitch more features, and we at the NOC are looking forward to seeing more from her. Bao’s in-home release drops TODAY, November 6, on The Incredibles 2 DVD and Blu-Ray, as well as on November 13, with the release of Pixar Shorts: Volume 3. I as a foodie I have never considered all the different types of dumplings and that periogis are in fact dumplings. That got me to thinking about the exciting ways different cultures came to a similar yet different conclusion to a culinary question. It reminds me why we need diversity in all forms. I still remember the day I realized that ravioli were boiled (or fried! yum!) cheese dumplings. I was 12, then ever since, all these other dots connected in my brain, hahahaha! It was awesome to discover that Domee also made those connections. Brain-twinning is the best.